I love sci-fi films. I am picky about sci-fi films. I love cheesy ones just to kick back and check my brain at the door. However, my favorite sci-fi films use the sci-fi motif as an element of a deeper story. 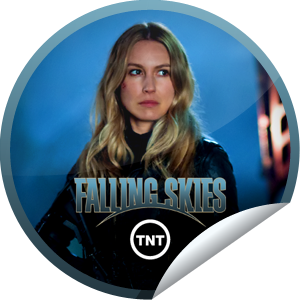 As you have probably figured out, I am a big fan of FALLING SKIES , which beings its second season Sunday June 17th at 9 PM on TNT. If you haven’t figured that out, you probably aren’t really on Twitter and Facebook ever. Coming from a career in the home video and entertainment industries, as well as a lifelong love of TV and film, it is only natural that when I love a show or story, I truly get immersed in it. Not so much a role-playing, buy all the junk immersed, but immersed in digging deeper into why I love a show. 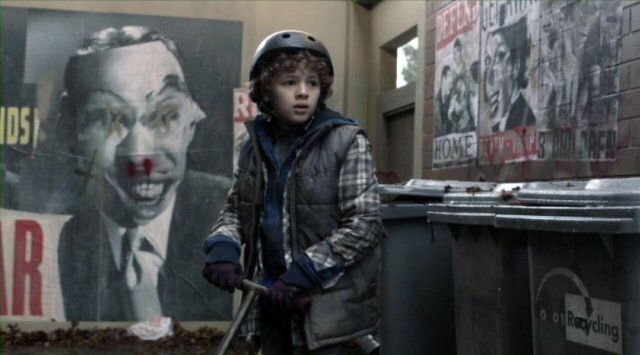 Boiled down to its “pitch” points, FALLING SKIES is a sci-fi show. That is what will jump out at you, that is where much of the fan reaction will reside, and that is how people who have never watched it will dismiss it, as another sci-fi show. 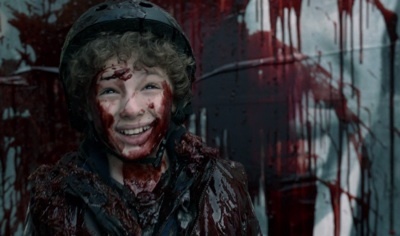 However, FALLING SKIES, as with some of the best sci-fi, is so much more that makes the show work. There are elements, both overt and subtle, that attact me to it and hopefully will allow you to enjoy it, even if sci-fi is not your favorite genre. 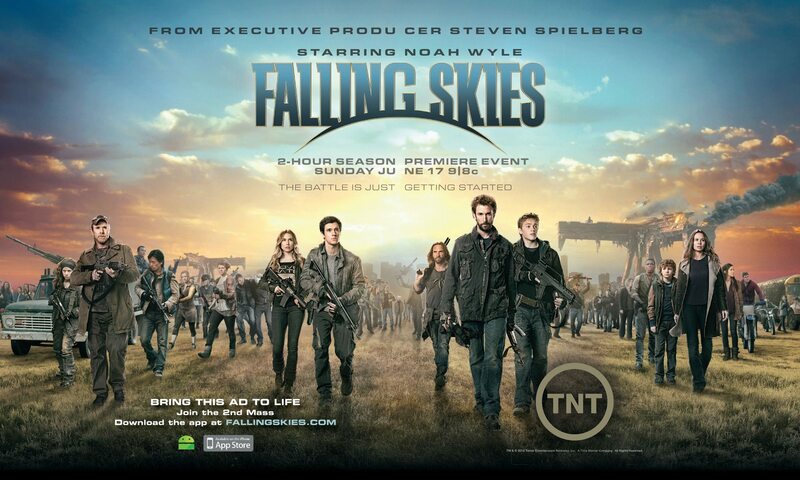 Steven Spielberg is one of the creative minds behind the FALLING SKIES concept. He is no stranger to science fiction filmmaking, as CLOSE ENCOUNTERS OF THE THIRD KIND, ET, JURRASIC PARK and WAR OF THE WORLDS can attest. However, each of these films may be classified as science fiction, but they really aren’t. Each have similar threads, the most compelling being the wonders, fears, and needs of childhood. They are about an incomplete childhood, be it through the absence or potential loss of a parent or through an attempt to reclaim the wonders of childhood in an adult. They are films about families flawed and fantastic. But Spielberg has also shown that, as with any child, there is a fascination with war and the heroes that fight them. It is not about the battle, it is about the relationship, the human emotion. SAVING PRIVATE RYAN, WAR HORSE, SCHINDELERS LIST, and my favorite Spielberg film ever EMPIRE OF THE SUN are all the same themes. The particular war that is the setting is not actually the story. The family and human aspects make these much more than genre films. The same goes for war-themed films and series that Spielberg has produced, like BAND OF BROTHERS, THE PACIFIC, FLAGS OF OUR FATHERS, and LETTERS FROM IWO JIMA. These are about soldiers, family, relatives, memories that happen to be shaped by an event, not about the event itself. It is about the journey and who influences us on that journey all the way to conclusion. FALLING SKIES is built on the same threads. Yes, aliens have dropped into Boston and the rest of the world and rendered modern technology obsolete. Yes, the bad guys have space ships and other worldly weapons. Yes, they have strange unknown motives. Yes, they look different from us. But FALLING SKIES is limited and would be a failure if that is all it is. FALLING SKIES doesn’t stop there. By rebooting the world back to pre-1980’s time by way of an EMP that destroys digital memories, it puts itself squarely back into the beginnings and early glory days of Steven Spielberg’s career. The bad skitters have caused people to refugee and to seek what has been taken. Human needs are now priority again and things cannot be accomplished by Googling an answer. This throwback to that period helps to reinforce that family element that is central to making this story work. As the series began, Tom Mason (Noah Wyle) and his family have already lost their wife and mother, Rebecca. 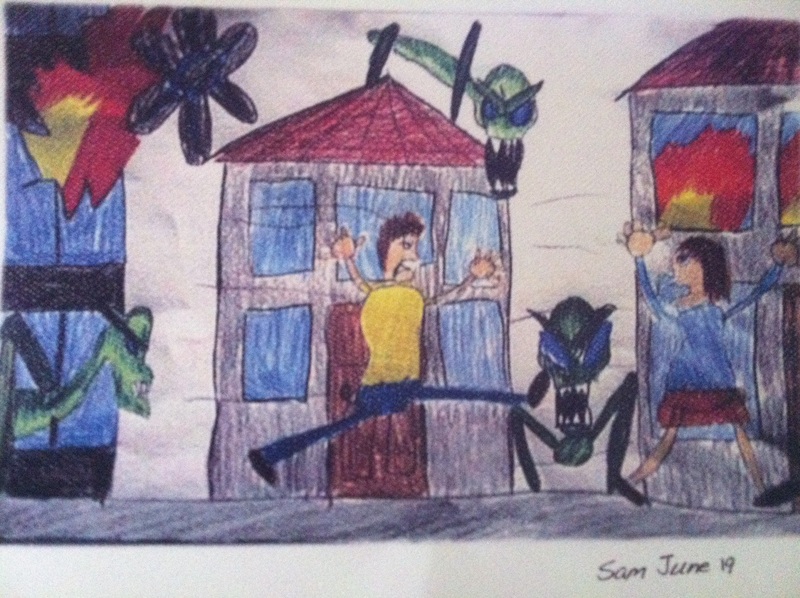 The most vivid depiction of her is provided by the therapeutic drawings done by her son Matt (Maxim Knight) that we see in the first episode. We know precious little about her. When you look at the three sons, you can see a resemblance in both looks and determination. The three also feel like a family, with the same love, envy, and protection that brothers have for each other. Tom is a history professor, and his knowledge of events in US history help to frame and connect what is happening in Boston with what had once happened in Boston and in the country. His knowledge translates nicely to a tactical knowledge that goes far beyond what could easily have been a gung-ho type of character but instead is one who is informed by those who have led similar battles before him. Loss of mother (and at time father) is throughout the show. Besides Matt, Tom has two sons, Hal (Drew Roy) and Ben (Connor Jessup). Ben is the centerpiece of the current story, since he has been captured and harnessed by the aliens and later rescued. He has seen the other side, he has experienced unknown emotions and he is back possibly different yet still attached to family. Another boy, Ricky (Daniyah Ysrael) has also returned. His backstory makes him a much more complicated figure, but he was also motherless. Ricky felt distant and forgotten by his father and was scarred by a childhood illness that has now disappeared while he was in captivity. His emotions and mindset after his rescue seem to be polar opposite from Ben. He has been missing a familial connection for so long that he feels he gets that from the aliens. His rescue is not joyous to him, it is simply another loss of another family. The militia that forms around them and the Boston area, the 2nd Mass, is a family in much the same way, but this is an extended family. You have your crazy uncle Pope (Colin Cunningham) and your cousins/brothers who will protect you at any cost, Anthony (Mpho Koaho) and Dai (Peter Shinkoda). You have others who fit into the extended family, either as a love interest or as someone you care about : Anne Glass (Moon Bloodgood), Lourdes (Seychelle Gabrielle), Karen (Jessy Schram), and Margaret (Sarah Carter). Even Captain Weaver (Will Patton) is haunted by missing family and memories, as evidenced by his emotional breakdown while listening to an old LP of Jimmy Cliff’s MANY RIVERS TO CROSS. All are missing, all are longing, all are confused, and yet, all need to band together as this new family to find the meanings of their real families. Even in the background characters, the family aspect is front and center. Once the 2nd Mass is able to find a high school to encamp at, there are attempts to create a sense of normalcy, be it a modified cookout, a boy being given a skateboard as a birthday present, allowing him to escape to pure childhood for a few minutes, or the total sense of escape and peace felt during a scene where the civilians watch an old film together, much as the M*A*S*H 4077th would do in Korea to help forget the loneliness and fear for a couple of hours. Even Pope unexpectedly baking bread for them which is shared at a peaceful communal meal shows the desire to simply be with family. Add in the fear when a young boy, Eli, is turned over to the Skitters as a chip to buy protection, the board at the high school filled with pictures of missing loved ones, the tension felt as some civilians feel not enough is being done, and a normal father who resorts to violence in order to get medicine for his family that is in short supply. In addition, the aliens themselves give hints of absorbing or learning about what makes a human family. The nesting of the harnessed kids while they sleep, the seeming knowledge that the Overlords (who seem to be in charge) recognize the emotional weight of family love when they take Tom Mason in exchange for leaving son Ben. They are far beyond just marauders out to destroy a planet. They are gathers, they have a social pecking order, they have leadership, and by extension, they should also have family. They want more than just to blow the earth up. The aliens could be from another country as much as from another planet. This is a war with a human element, as war has always been. Understanding and discovering the motivation will advance the story to the next level. If all FALLING SKIES consists of is cool shots of spacecraft and Mechs, then this would be over faster than most TV Series. But as I said at the beginning, don’t let the flash scare you off if you are not a sci-fi fan. Trust me, this is not a sci-fi story. As season 2 of FALLING SKIES begins on TNT, many of these stories will be advanced and maybe some of my own questions will be answered. My biggest desire is to see more of Tom’s wife and the boy’s mother, REBECCA. Deep down, I feel her story is the real catalyst for unlocking what is actually going on here. Yes, she never appears in Season One and seems to be gone forever. But, as with any good human story, gone is not forgotten. However, I want to discover as we go along, so as much as I want to say “See, I knew it”, I want to say “Surprise me” even louder. 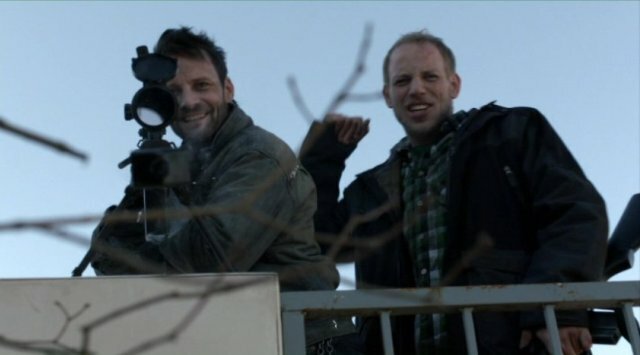 I fully expect to see the show come full circle back to the first episode last season. 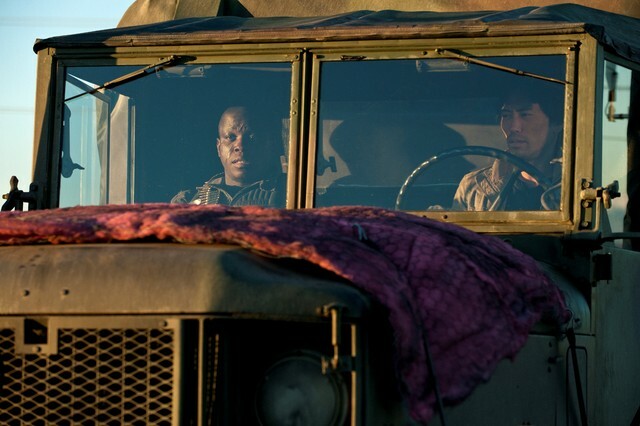 With the 2ndMass taking the battle to the Skitters at the end of Season One, this can no longer be about hunkering down and waiting for the enemy. As with every good war film, you need to take the fight to the enemy. You need to understand the enemy. And you need to beware of the enemies within and without. Add in the new cast members like Luciana Carro, Brandon Jay McLaren, Ryan Robbins, Billy Wickman and more, and you will also see an expansion of both focus and storylines. This will feel even more like an extended family out to protect each other and thier friends from enemies that may come from an unknown planet but seem all too familiar given our own country’s history. In one scene from FALLING SKIES, Tom Mason picks up two books to choose from to carry with him. One is TWENTY THOUSAND LEAGUES UNDER THE SEA and the other is A TALE OF TWO CITIES. While it may not be the inspiration, I immediately flashed back to another great film, THE TIME MACHINE and its final moments where Wells returns to the future and his friend Filby notices that he has taken three books back with him. The film leaves us with the question of what those books were and how they would relate to the future. How will any of this, or other threads, relate to the future of the Mason’s and the 2nd Mass? Only watching Season Two will tell. And for more info on the show, check out a great blog, THREE IF BY SPACE. Just click the image below.